Above is a comparison of the cables. The stand-out difference is that the UF7 dielectric loss is lower, and that is to be expected because it uses foamed PE against solid PE in B8267. 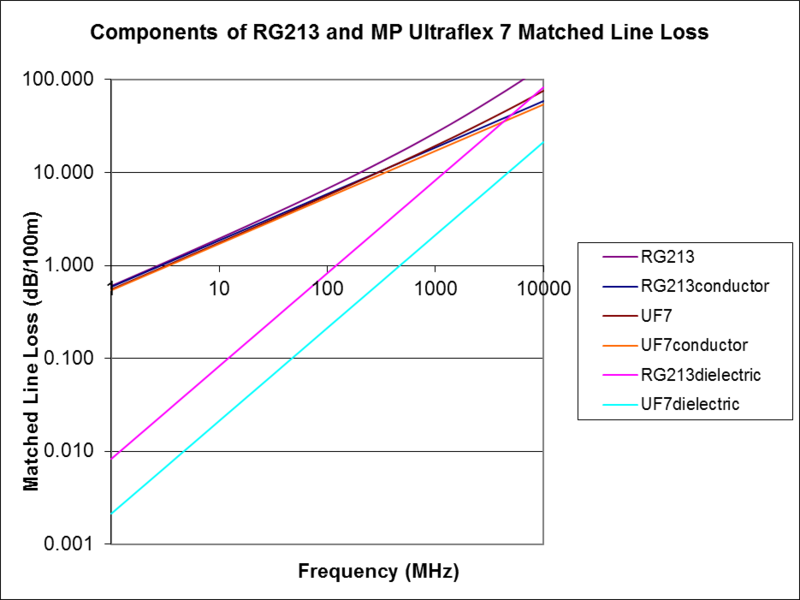 The conductor loss for UF7 is very slightly lower than B8267. At first, this might seem wrong since the inner conductor of B8267 is very slightly larger, but the UF7 has a dual shield with copper foil, and that might well account for the difference. 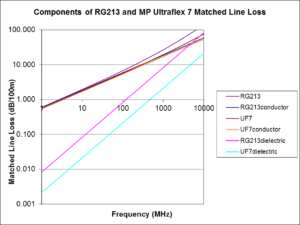 The result is that for the frequency range shown, UF7 always has lower loss, but it is significantly lower above 30MHz and that is explained by lower dielectric loss which becomes more relevant as frequency increases.